June 1st in Wordpress Plugins by Wordpress Jedi . WooCommerce happens to be one of the most useful WordPress plugins around. It turns your website into an online shop quickly. Managing your WooCommerce store is not that hard, but plugins such as Pushover let you keep up with WooCommerce-related events on the go easily. 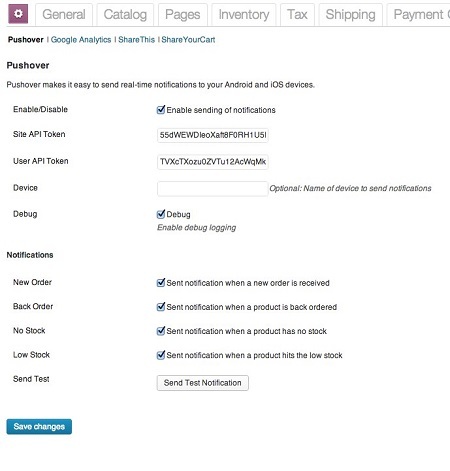 Pushover for WooCommerce sends you real-time notifications from your store. The plugin is pretty simple to use. Once you have it installed, you should enter your API information and choose which notifications you want to receive. You receive notifications when a new order is received, a product is back-ordered, or a product is running low on stock. 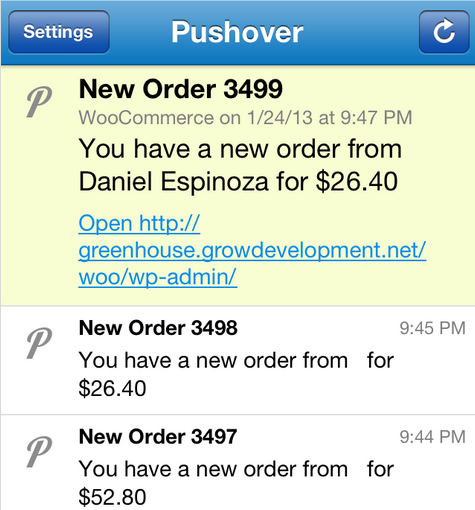 Pushover makes your WooCommerce store more iOS/Android friendly. No matter where you are at any given moment, you will be able to keep up with WooCommerce-related events conveniently.